for your tremendous service to the Harley-Davidson community for over 2 generations! We, at La Crosse Area Harley-Davidson, would like to welcome the Al Muth Harley-Davidson riders into our family. 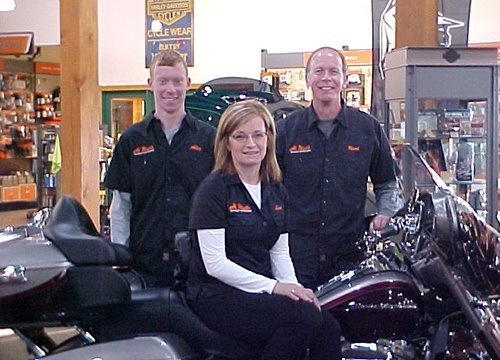 We've been a family owned dealership in Onalaska, Wisconsin for nearly 24 years. 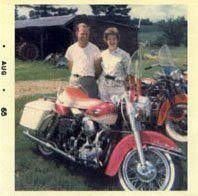 Patty Nordheim and Irv Fosaaen opened in Onalaska after many years as a dealer in Waukon, Iowa, where they still have a Harley-Davidson dealership. Their kids grew up in the business. Blake now works in the Onalaska location. He's been the Parts manager and is now transitioning to the Business Office. Kris works in marketing for their family of dealerships, traveling between. Eric, in Dealer Operations, Joe our Sales Manager, and John and Kevin in Service, have been taking care of riders in the LaCrosse Area for over twenty years.